The tape handled paper bags are an ideal way to package your items in a cost effective yet distinguished fashion. The paper can usually be supplied from recycled sources and will degrade as usual once disposed of. 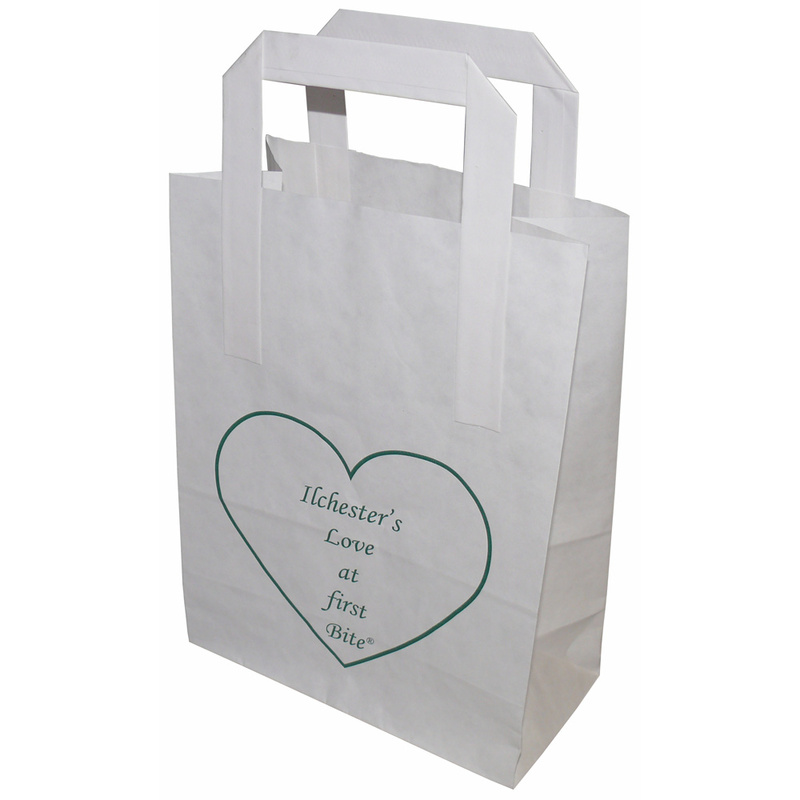 The bags can be printed up to full colour, in various sizes (machine settings vary). We can also help you to design your carrier bag by supplying preproduction designs to your requirements, giving you a full appreciation of the carrier bag before it is printed. Preproduction samples of this style of bag are not possible due to machine set up times. We can however, supply you with samples of previous work to show you the quality of bag. Beckdale offer a full design service for retail flat handle kraft paper bags. Beckdale.co.uk office team have the knowledge to help businesses purchase unique flat handle kraft paper bags. For choose by material or similar , connect with our offices using the above details.